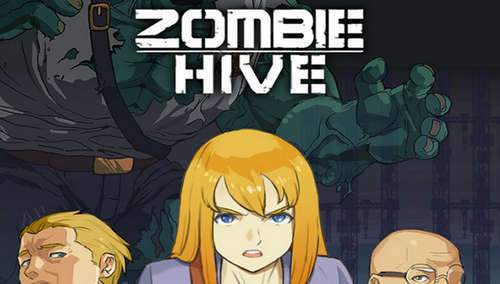 Zombie Hive by Mobirix is a 2D strategy simulation in which you fight a bunch of zombies in some secret weapons research facility. After a virus outbreak hit the labs, undead creatures started occupying the place until they filled it up. Players use their soldiers to clean up the facility and kill every last zombie they find, then completely destroy some underground computer that seems to have caused the infection! The mod apk provided will give you the chance to wipe out the zombie scum! In Zombie Hive, there is plenty to do, but it all comes down to battling the living dead. 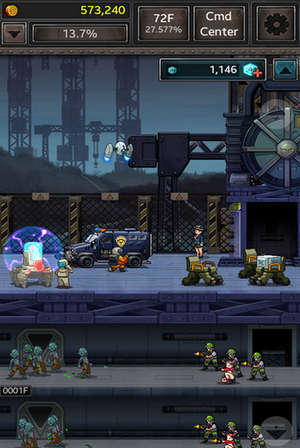 You can rescue survivors, use booster equipment and items in battles, fight using super zombies, and most of all us the unlimited money hack to buy locked equipment and win the war! Now command your soldiers, recharge your ammo, use advanced machines and start clearing the 1000 floor levels.. This update brings Season2 : Zombie World War!